... its my first build. Really dude. Please don't hate. 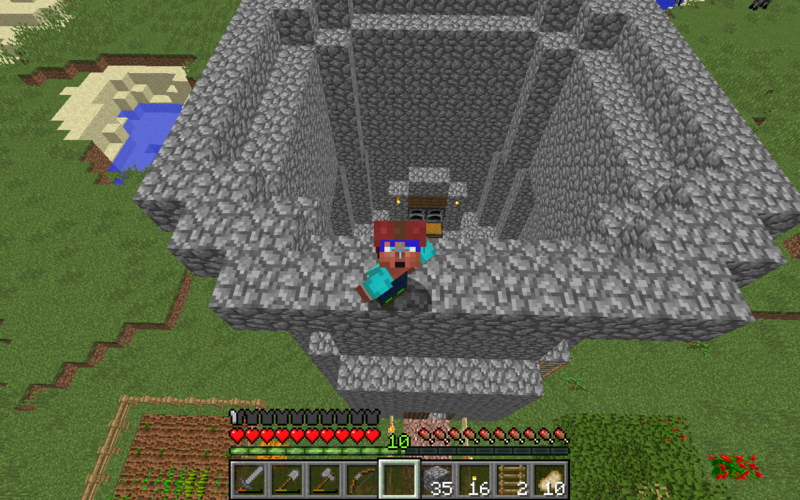 Plus it was in survival. It's not bad at all for such an early build and serves its purpose reasonably well. One improvement I'd recommend when you have the materials . . . make a safely fence around either the entire 'keep' or at least the door area out to a distance sufficient that creepers won't automatically explode should you find one waiting against the fence when you exit the structure. A great many of my survival structures feature such a fence protecting their major entrances. Thanks for the help! Will do. New front of the tower. Interior. You can see where the floor is supposed to go. I didn't do any furnishing except on the first floor for the sake of not having to take ore pics / spamming this thread for my unasked for tweaks. 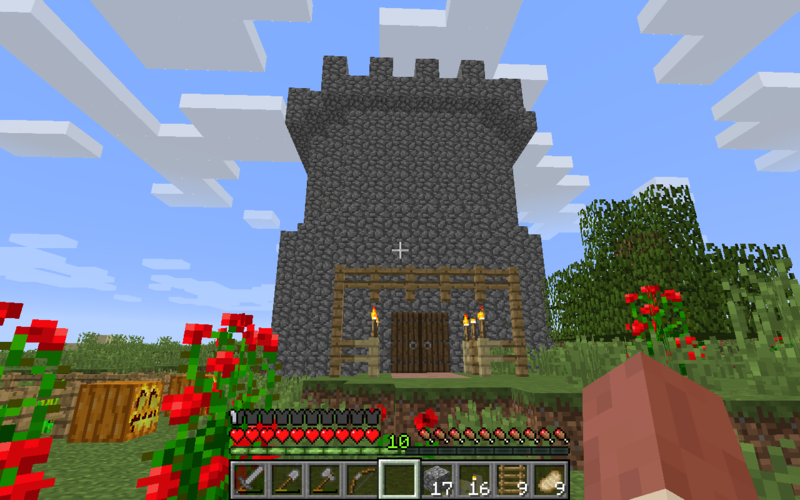 i's a good start, if you want to improve it, you could make it out of stone bricks and add some windows to the top part. I personally, use wooden logs on the diagonal parts to add some variety.